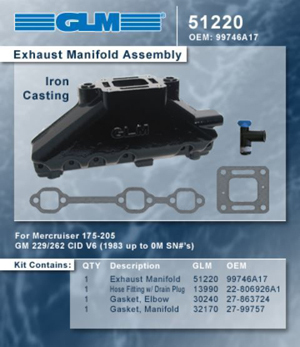 GLM Manifolds are Superior in the Aftermarket Marine Parts Industry. and Add More Horsepower to Your Engine! We are adding new part numbers daily. If you don't see what you need, please call or eMail us. We will be glad to help in any way! the opportunity to earn your business!